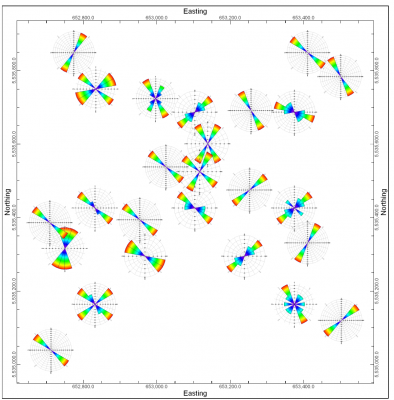 RockWorks offers a detailed suite of stereonet analysis tools and rose diagram and lineation analysis utilities. 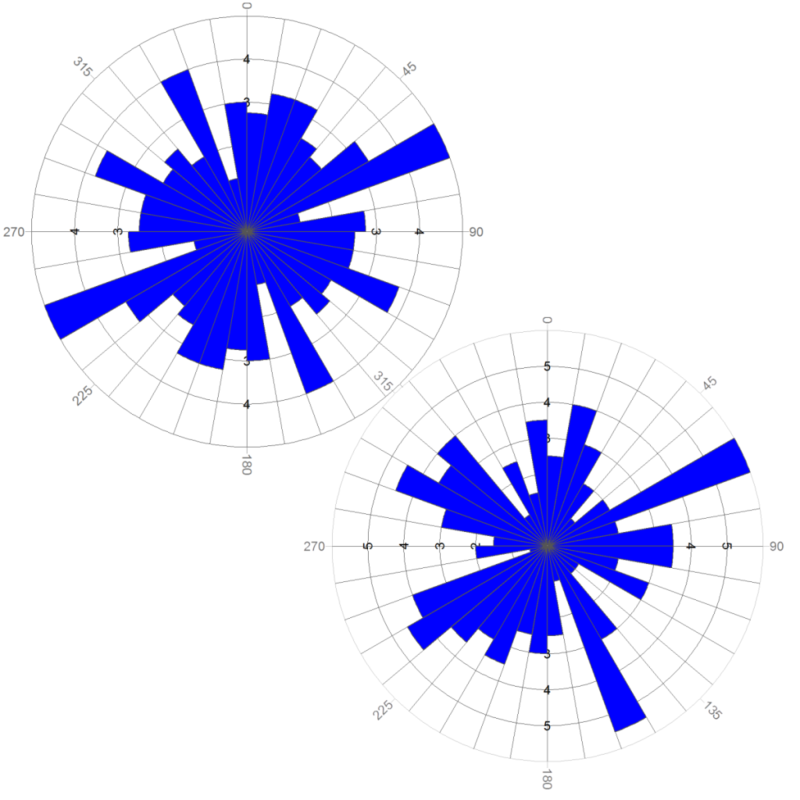 A stereonet can be created from strike and dip (or dip-direction, dip-angle) data. 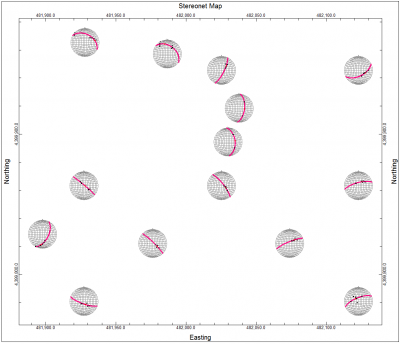 Plot linear, planar, or rake features on a stereonet. 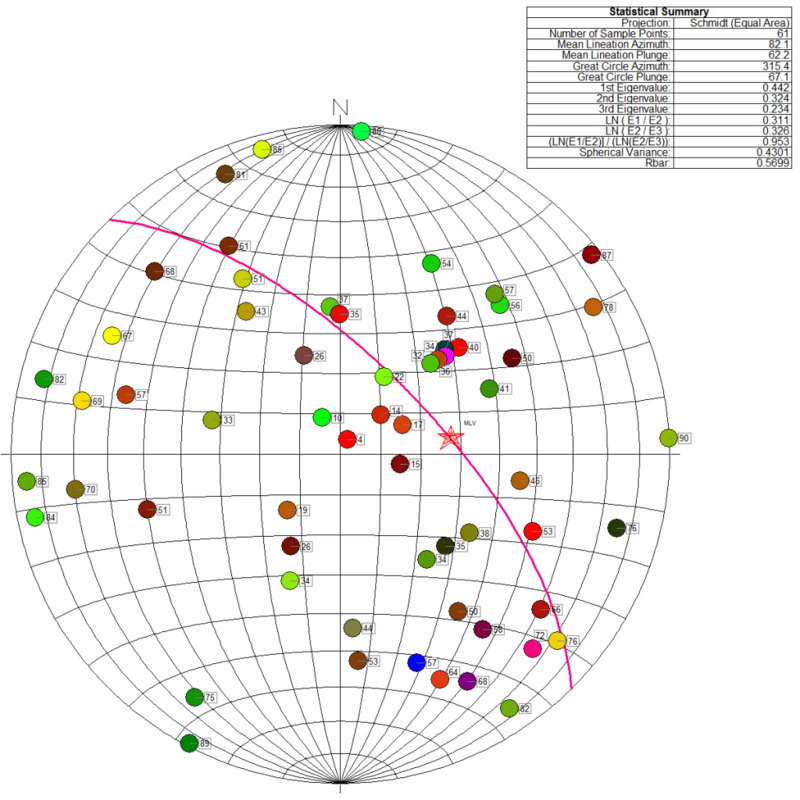 Planar data can be plotted as great circles or poles normal to a plane. 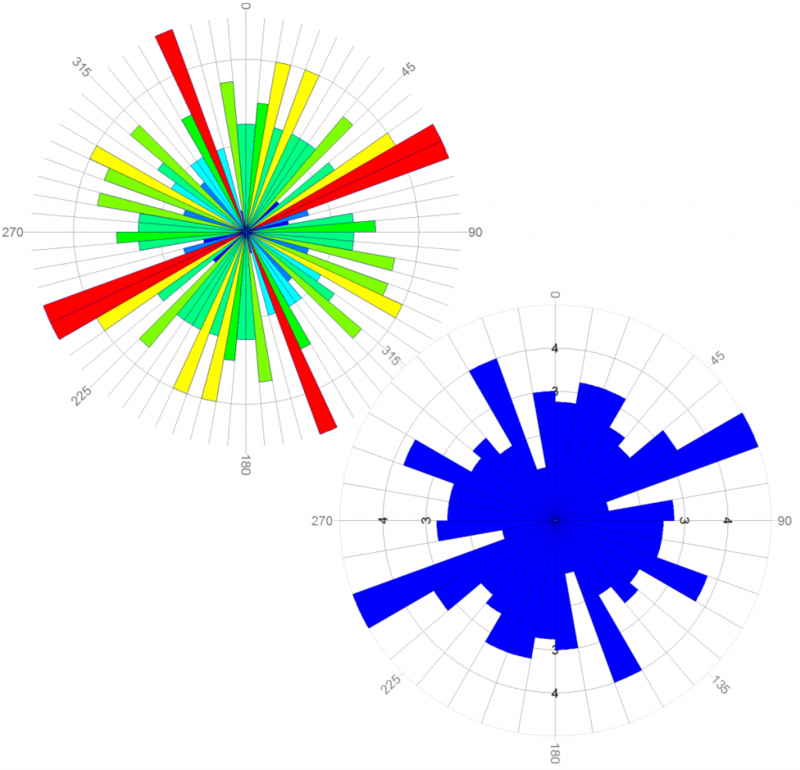 A stereonet can display unique symbols for any sample or group of samples. 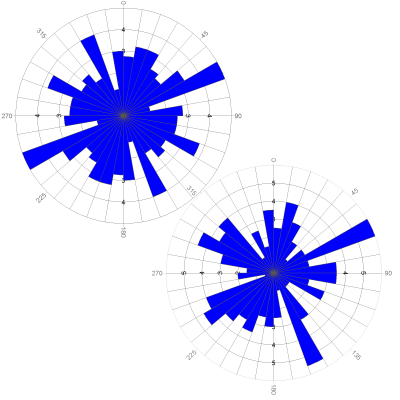 A contoured stereonet can illustrate point density calculated by either a simple step function or the spherical Gaussian Technique. 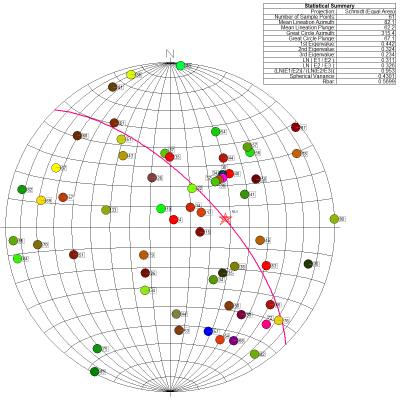 Stereonet maps display downhole structural details at each borehole location. 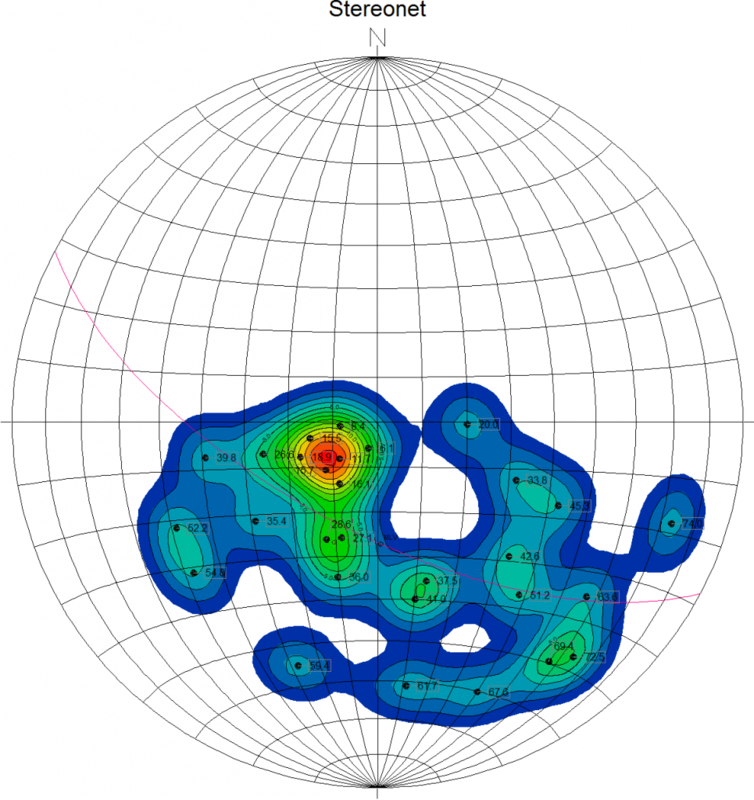 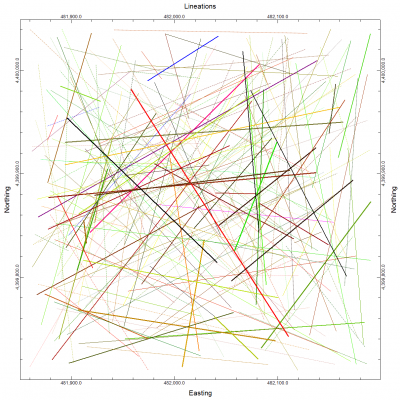 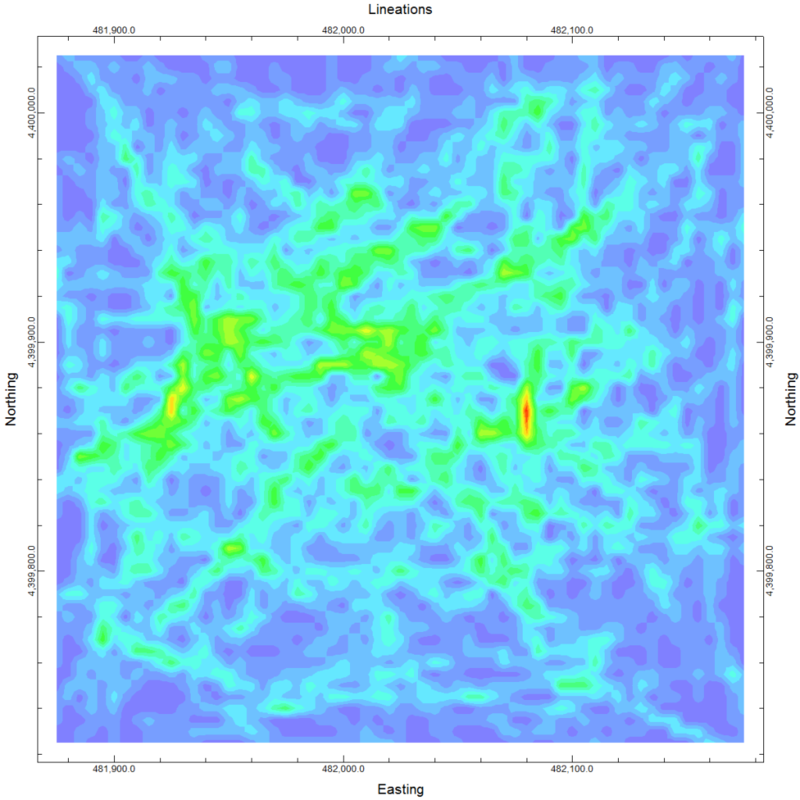 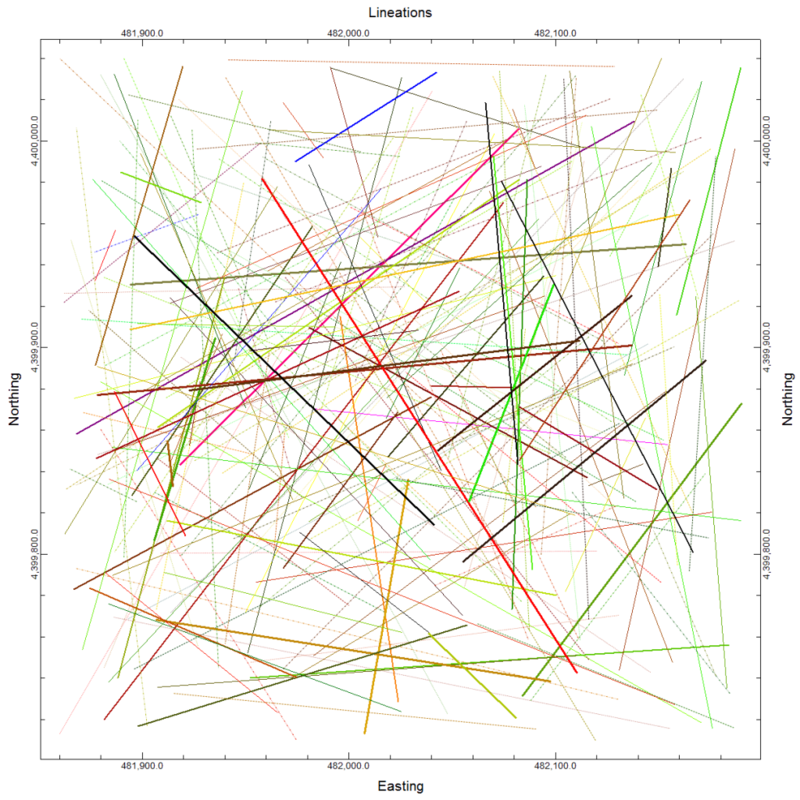 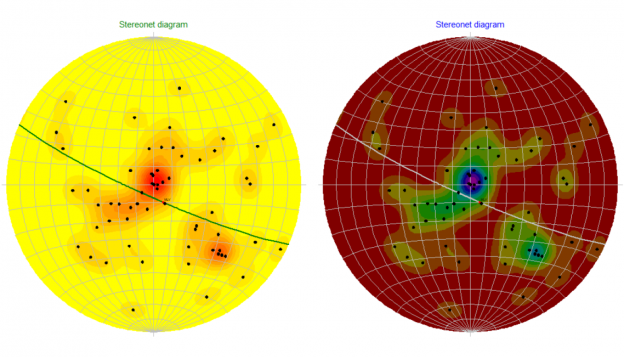 Rose diagram maps plot linear features at sample locations. Rose diagrams illustrate the frequency of lineations in a given orientation. 2-D and 3-D contour maps of lineation frequencies, lengths, intersections, or a weighted combination thereof.